Many programs hold what is called an "Open House" a week or so before the school year begins. I've seen (and worked at) programs who utilize this night to collect registration forms for children who will be attending their program. This is NOT an Open House! This is an Orientation Program! Now, Orientation Programs are wonderful events to have and I highly recommend them! These programs can be held for newly enrolled families only as a way to help ease any anxiety about the first day, what to expect, etc. This type of event may be held just for parents or for parents and their children! However, this is not actually an open house but, rather, a New Family Orientation. What IS an Open House, then? Let’s think specifically about that phrase. The most common use of it is regarding Real Estate. Someone is selling their home and they, or their real estate agent, holds an Open House event. This even is held during a specific time on a specific day such as on a Sunday from 1:00 pm to 3:00 pm. The event is open ended – there is not a set agenda during that time. Those interested in the home for sale show up at the property between the advertised times, look around and can ask questions they have about the property. There is usually information available to give to prospective buyers. That is the same process an Open House for your program. A true Open House is an event where prospective families are invited to visit your program on a specific date during specific times. It is an event with a purpose: marketing your program to increase enrollment. 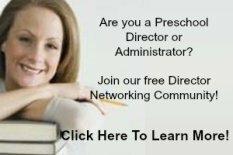 There are many ways to do this as an effective preschool marketing strategy! Here are 7 Tips for planning your Open House! 1. Choose the Time & Date of your open house – with INTENTION! The time and date you choose are extremely important. Remembering that the goal is to attract families with children, the date and time need to be chosen to be times where families do not have other conflicts. Is there a local sports game or event that families attend in your area? You may have families who also have older children who are playing in the football playoffs or a swim meet. You may have families who attend (or watch on television) professional sports events such as the Super Bowl or World Series. Don’t conflict with those dates! The exception to the above would be a city/town-wide community event. If you are close to a downtown area that holds an annual event such as decorating the town center or a “Main Street Stroll”, being open and having an Open House would be a be great as many families will already be downtown! Is your local public school holding their annual Art Show or Science Fair? Again, many of your prospective families also have older children in elementary school. You need to be aware of when the “big” school events are planned before choosing your Open House date. (You will usually find the local district’s school year calendar posted publicly on the district’s website). 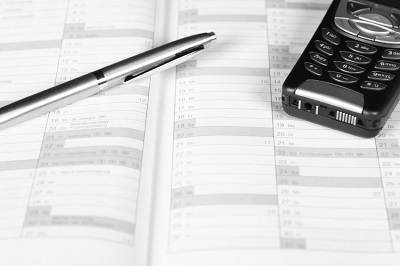 Keep holidays – major and minor – in mind when planning your event. Many families take the opportunity of long weekends to go away or plan family functions. Some holidays may impact schedules for many days (i.e. in the U.S., if the 4th of July is on a Sunday, many families will also be away on Monday for an extended holiday weekend or, they may even take that entire week off as a family vacation week). Weekends are typically not a good time to hold an Open House. Working parents reserve weekends for family time, meeting with friends, errands and the like. Attendance is usually low for weekend Open Houses. Early evenings during the week usually work best. Of course, be mindful that prospective families are likely working full-time so there is dinner time (and homework time for older children). 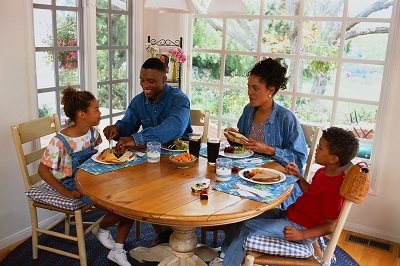 Many areas have a common dinner time. Areas more rural may have dinner at 7:00 because it takes longer for them to get home from work. Less rural areas may have dinner at 5:30. We’ve found that 6:30-7:30 is a good time for a weeknight Open House. You may find a different time will work best. Ask current families when a good time to attend an Open House would be for them. Let them know what you are planning-they are a great resource of information (and marketing!) for you! Considering this event is to increase enrollment, the best time of year to hold an Open House (if you are holding just one), is about 2-months before the new school year. If your school year begins in August, for example, consider holding your Open House in June. Again, be aware of all the above points—specifically being sure not to conflict with graduations and end of year programming at local schools or your own program’s end of year events! In this case, consider holding it at the end of June or the beginning of July (but after the 4th of July in the US!). I recommend several Open Houses throughout the year. Enrollment spots in your program open throughout the year when families move or leave for other reasons. Having a quarterly Open House can help fill those spots. 2. 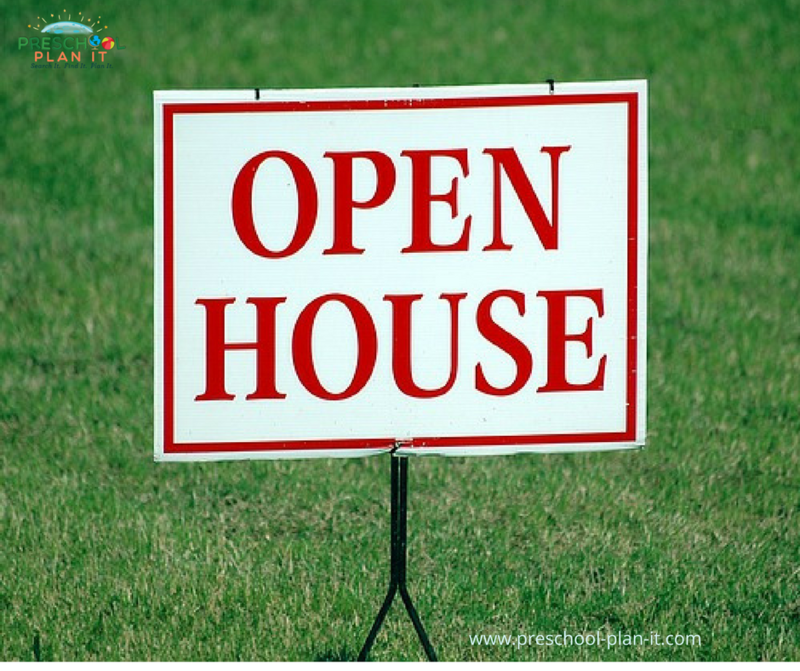 Advertise Your open house – EVERYWHERE! Marketing, simply stated, is spreading the word about your program and getting that word out to the right audience! Highlight the Open House on the homepage of your website. Your staff is one of your best forms of advertising! Remind them to tell everyone about it! Consider giving them business cards with your company logo on it and their name and the program's phone number. They can print the date of the Open House on the back and still have more cards to handout at other times during the year! Post a great image on your program’s Facebook page and boost that post or run a Facebook Ad. Post the image in your Pinterest account, if you have one. Tweet about it! Create half-page or full-page flyers about your program and deliver them to local businesses such as: libraries, supermarkets, local convenience stores, churches, hair salons – anywhere parents hang out or frequent! Let families know about the event and encourage them to help by posting flyers at the businesses they frequent, sharing your Open House Facebook post on their own Facebook pages and by telling their friends know about current openings. Current families are your BEST testimonial! Also, offer a referral bonus or discount to current families for any families they refer. When that referral enrolls and pays their 1st month tuition, the referring family would receive a bonus gift card to go out to dinner or a cash gift or specific amount off one month’s tuition! I know, that sounds “old school”, however, families and friends do still read the paper and will tell others when they see your Open House announcement if they know of a friend or family member who is looking for childcare. In addition, most newspapers have online subscriptions which are read by families as well! 3. Curb & Class Appeal - Pretty it up before your open house! What families see when they drive or walk up to your building is just as important as what they see once inside. What will families notice as they approach your building? When was the last time you looked at the outside of your program with the perspective of a new family? They will notice things that have become somewhat invisible to us. I discuss Curb appeal in my Preschool Tour article here, where you can read more details on what to do. Families (prospective and current) see things that we are sometimes invisible to. For example, that one table or area where teachers pile their supplies, papers, folders, etc. You know the one…it’s like the “hotspot” of the classroom. Like that counter you have at home where everyone just drops their things when they get home! Although we know children don’t hang out there, it looks cluttered and disorganized and the space should be for the children. Find ways to organize these areas. 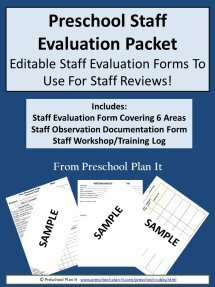 In many classrooms, teachers have emergency forms or assessment forms on clipboards in the classroom. These should be put away EVERY evening…and locked up. These papers are not ones that all families should have access to and, they certainly should not be in the classroom when holding an Open House. Remember that these are strangers entering your building and wandering around, so to speak. Be sure papers and forms with confidential information about children and families are not accessible. Before an Open House, be sure all areas are clean…like those adorable hand or face prints on the windows from when the children looked outside at the 2 squirrels chasing each other this morning! And, of course, be sure to clean tables, vacuum, wash larger equipment, etc. You likely have a cleaning schedule in place. You want to do an extra cleaning time before showcasing your center for an event like this! Another addition to classroom appeal is to have posters hung in your classroom in each of your interest centers. 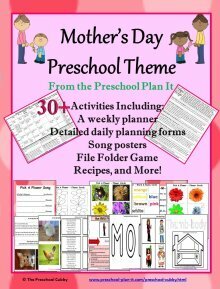 These posters don’t have to be large, just 8 X 10 with a good image for each interest center. The purpose is to let families know WHAT their children learn in each center. They are not “just building” when they are in the Block Area! They are not “just pretending” when they are in the Dramatic Play area! 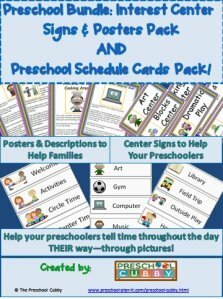 Create posters that highlight how their children will grow and develop when participating in all activities in the classroom! I do have posters here that you may be interested in. The same applies to your office and the Staff Room. Families will see all areas of your building as they walk through. Keep it organized! Keeping your building, inside and out, clean, tidy and organized may make the difference between a new family enrolling…. or not! 4. Should You Have Team Members Attend the open house? YES! How many will depend on how often you run an Open House and how large your program is. For our half-day program, we had one classroom that was shared by both groups. There was not a need for a large crew to be there. For safety reasons, I recommend always having a second person on site. In larger centers, it is in your best interest to have a teacher in each classroom available to answer questions about that specific classroom and its activities. It is also great to have a greeter (who could be YOU or another team member so you can roam around and greet others) as well as one person to roam (to help those who may be a bit lost) and one in the playground to discuss outdoor play, safety and activities. 5. should you provide refreshments at an open house? Our Open Houses were always on a weeknight, typically after dinner. Refreshments were not necessary. I did, however, have coffee, tea and water available. You can add snacks; just be sure they are nutritious. Serving junk food/unhealthy snacks at an Open House may relay the idea that nutrition is not important to the program. If you do want to provide snacks, provide fresh produce (apples, bananas, oranges, green beans, carrot sticks). Whatever is not eaten can be used in the classroom the next day! Prospective families may come with their children in tow. This is a good thing! It is GREAT to meet the child and make a connection with them right away! 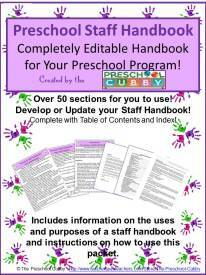 Have child-directed activities available for the children to use. We’ve had activities such as playdough and playdough tools (which was ALWAYS a huge it!) as well as having watercolor paints at the easels. Let children have access to all areas of the classroom. 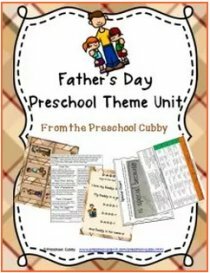 This is a time for the children and parents to see the types of activities you provide during the day and for families to see the children participating in them and your teachers interacting with the children! I highly recommend some way to gather information on everyone who attends. It is the only way you will be able to follow-up with them! Some use a sign in sheet- like a visitor’s book. However, for confidentiality reasons have a separate page for each family. Perhaps something that asks their name, email address, phone number, names and ages of children, hours of care they are looking for. I have gathered that information verbally and listed it on a clipboard that I carried with me to keep in confidential. Some programs have photo albums of past events or of activities in the classroom. Again, consider confidentiality. Example: We had 2 foster children who were under the supervision of CPS (Child Protective Services). We were NOT allowed to have any pictures of them on any form of social media or items outside the classroom (such as newsletters that went home or out via email). For that reason, we did not display children’s photos at open houses. We also removed their photos from the classroom during a public Open House. When planning your Open House, plan with your team! They know what current families love about their classrooms and can highlight those areas! Ask current families what they love best…ask if they will write a testimonial for you! Or, better yet, ask if they will allow you to record a 1-minute testimonial. Put those testimonials in a video loop to play throughout the Open House. Most importantly – have fun during your Open House! Let your and your teams’ excitement and pride for your program shine! Families notice that – they KNOW when you and your team are genuinely excited about your program, and it is contagious!